Centene Corp. proved once again in the first quarter of 2018 that a health insurer can profit from the public insurance exchanges, which many experts say continue to stabilize despite federal actions seen as undermining the individual market. For the past few financial quarters, the Affordable Care Act exchanges have driven higher revenue for St. Louis-based Centene. The three months ended March 31 were no exception. Centene on Tuesday reported net income of $340 million on revenue of $13.2 billion in the first quarter. That compared to net income of $139 million on revenue of $11.7 billion during the same period in 2017. The insurer said the 12.5% increase in revenue was primarily driven by membership growth in its exchange plans, along with new and expanded Medicaid contracts in many of its states over the past year. Profit more than doubled due to the same reasons. Centene has solidified its place as the dominant insurer on the ACA exchanges with 1.6 million members as of March 31, a dramatic increase of 34.9%, or 415,100 members, over the same time a year ago. The insurer has been able to keep and grow marketplace membership while turning a profit on the exchanges because of its experience managing the care of the low-income, high-risk Medicaid population. Centene also uses low-premium, narrow networks to manage its marketplace members. However, narrow networks in Washington recently landed the insurer in hot water. The company was fined $1.5 million and briefly banned from selling individual insurance plans in the state because its coverage network didn't have enough doctors. The Washington state insurance department in March said Centene had not yet fixed its network adequacy issues. Meanwhile, Centene also grew Medicaid membership slightly by 90,500 members to 7.1 million in the first quarter compared to the same period in 2017. The insurer serves about 1.1 million members through the Medicaid expansion. Additionally, its membership in Medicare and Medicare-Medicaid plans grew by 4.7%, or 15,300 members, to 343,400. Centene's total membership rose to 12.8 million at the end of the first quarter, an increase of 684,000 members, or 5.6% over the same time in 2017. 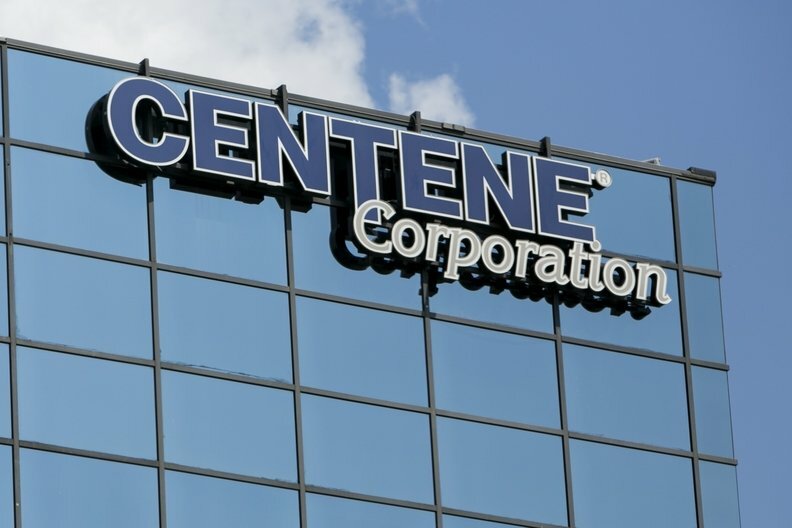 Centene also kept costs down, reporting a medical loss ratio, or the amount of premiums that go toward medical claims and quality improvement activities, of 84.3% in the first quarter, down from 87.6% at the same time last year. The decrease was driven by membership growth in its exchange plans, lower medical costs in its Medicaid plans, and the return of the health insurance fee this year.